Marketing Research 3rd Asia'Pacific edition continues to equip students with the knowledge and skills required to successfully undertake marketing research. Combing a solid theoretical foundation with a practical, step-by-step approach, the marketing research process is explored through a learning model which is reinforced throughout the text. Using a raft of contemporary local and international examples, data sets and case studies to explain traditional marketing research methods, Marketing Research also examines new theories and techniques such as grounded theory, ethnography, phenomenology, automated interviewing, text, data mining and the increasing use of online panels. 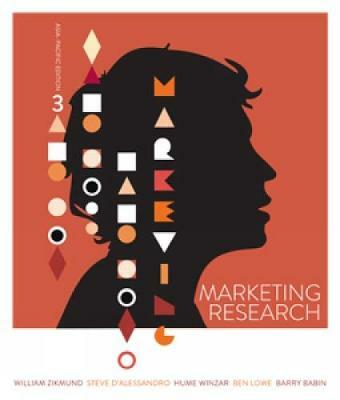 To strength its 'learning by doing' approach, this edition of Marketing Research integrates Qualtrics: a robust and easy-to-use online survey tool that provides students with a platform for designing, distributing and evaluating survey results. For analysing data, the text covers both SPSS and EXCEL outputs. Finally, each stage of research reporting is explained, as well as a range of presentation methodologies. This text is indispensible for students studying marketing research in any business or marketing course.